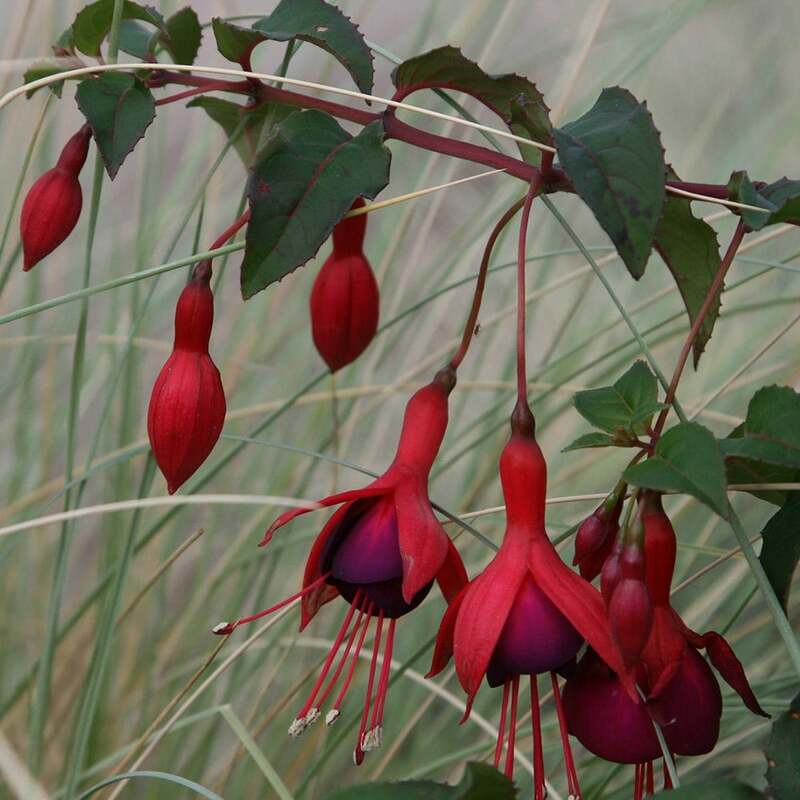 Showy, scarlet and purple flowers hang from arching stems from June to October among slender, deep green leaves. 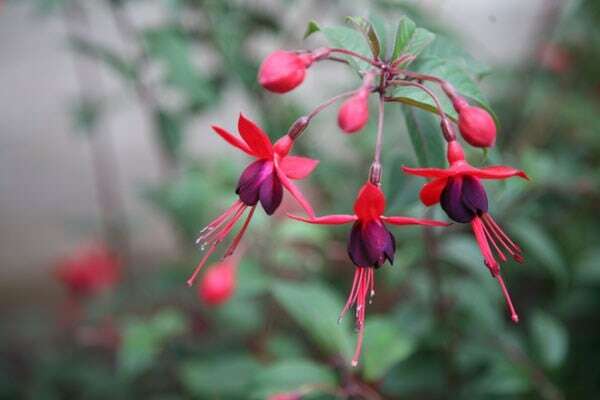 This vigorous, single-flowered fuchsia makes a lovely feature plant for a partially shady border. Bushy and upright in habit, it performs best in fertile, moist, well-drained soil with protection from cold, drying winds. Garden care: To encourage growth, pinch out the growing tips of young plants after the sixth or seventh pair of leaves. During the growing season water regularly, applying a balanced liquid fertiliser each month. Cut back to the permanent framework in early spring. Nice plant but had been pruned back hard to make it branch so took a long time to get to the flowering point. Yes, maybe another variety, depends how cuttings take. Placed some in pots, some in garden, others in Hanging Basket. This item is now in a large pot and flowering. Growing well. Part of a new shrub area. Should give good colour contrast to evergreens in spring/summer, and at 0.5-1.0m high, good for edges of planted area. No issues so far. I bought this for a present. It was very well received. It has Lovely deep coloured flowers, over a long flowering season. Hello Ruth, Honeybees love most of the Fuchsias, so they make an excellent choice for a shadier bed.